Outdoor Pursuits | Mount Aspiring College | Enjoy Success! Get amongst it at MAC! Nestled on the edge of the Southern Alps, alongside a beautiful alpine lake, Mount Aspiring College is ideally placed to run some of the finest outdoor instruction and adventure programmes in New Zealand. MAC has been acknowledged as having an outstanding Outdoor Pursuits programme, having been awarded the Best Outdoor Education Programme of 2011 by Outdoors New Zealand. Students studying at MAC can gain a unique outdoor experience and also fulfil their academic goals at the same time. Visit the OP website See the OP Facebook page Enrol today! 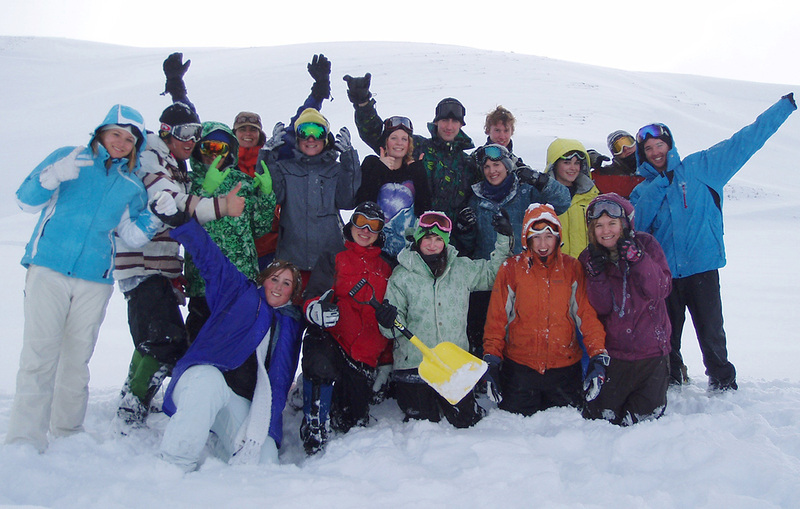 Mount Aspiring College's Outdoor Pursuits Department has extensive course information and details on their departmental webpages. Click here, or on the image to see what they have been up to lately. As well as up to the minute reports and photos of current expeditions and trips, you can also see calendars of what they are planning in the future, breakdowns of the different courses and the various disciplins that make up the various courses. Safety is paramount and programmes do not operate unless they can be safely managed. Our institution is both member of NZOIA (New Zealand Outdoor Instructors Association) and holder of OutdoorsMark (Outdoors New Zealand Safety Audit Certified). An important part of the programmes is risk management and students are trained in how to assess and handle the risks which occur in outdoor situations. This enables them to move on from the course and have their own adventures in a safe manner. The college is well known as a leader in outdoor education, having been a pioneer in offering outdoor pursuits as an integral part of its academic programme since 1991. The outdoor programmes have been refined over many years and the quality has recently been expanded to further involve more of the school. In Years 7 to 10 students are able to take advantage of an annual outdoor camp, with the level of independence and challenge progressing through the year levels and snow days at each of the four Wanaka ski areas during the winter term. In Years 11 to 13 students may opt to take outdoor pursuits as one of their subjects. Level 1 Outdoor Discovery aims to develop the student personally and socially through the provision of adventurous and challenging activities in a wide variety of environmental and social contexts, including kayaking and canoeing, rock-climbing, mountain biking, navigation and orienteering, Nordic skiing and camping. Level 2 Outdoor Challenge develops more specific skills in kayaking, canoeing, rock-climbing, tramping, mountain biking, Nordic skiing, snow-caving, and skiing or snowboarding. It provides challenging opportunities to build on teamwork, personal challenge, self-responsibility, communication skills and goal setting. Level 3 Outdoor Leadership builds on the skills developed in the Level 2 course and aims to provide students with the judgement and skills to be able to act with independence in the outdoors. There is a strong theme of personal adventure and the development of group management skills, leadership, safety planning and evaluation. In all three levels, both theory and practical sessions are included and students gain credits towards NCEA Level 1, 2 or 3. "Congratulations to Mount Aspiring College - Outdoor Pursuits Programme in attaining OutdoorsMark. This outdoor education programme is fortunate to have a highly capable team of teachers and an incredible outdoor playground. The auditor praised the 'clear and considered' safety briefings, the high standard of the equipment and the particular attention given to educational goals."